A graduate summer school was held August 14 - 25, 2017 at the University of California at Irvine. 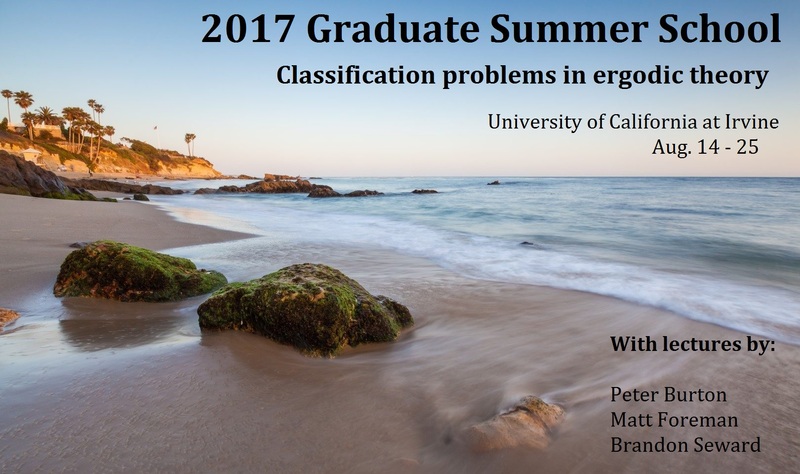 The topic of the summer school was classification problems in ergodic theory. Lectures were given by Peter Burton (Caltech), Matt Foreman (UC Irvine), and Brandon Seward (Courant). We had approximately 15 participants, mostly graduate students and a few postdocs and exceptional undergraduates. We ended the summer school with a problem session: Conference Questions.